Time after time, Mr. Donald Trump promised no cuts to Medicare and Social Security, but the current leader of the nation and Republican Party now seems to have a change of heart – to put it very kindly – or he has just wandered even deeper into the swamp. It could be the President is distracted by his fake plan to lower taxes for the middle class and so he hasn’t noticed the GOP-dominated House passed its 2018 budget resolution on Thursday by a vote of 219-206. The cunning House Speaker Paul Ryan led his swarm to approve cutting $1.5 trillion from Medicare and Medicaid. Eighteen Republicans voted against the resolution, along with all the attending Democrats. That is a cut to Medicare and Medicaid combined of $1.5 trillion with a ‘T. These cuts are completely unnecessary – $500 billion from Medicare to go with a trillion dollars just from Medicaid. And all to give tax cuts to corporations and billionaires. This Republican vote allows the Senate to pass a tax bill with just a simple majority, immune from the 60-vote requirement usually needed to prevent filibusters. 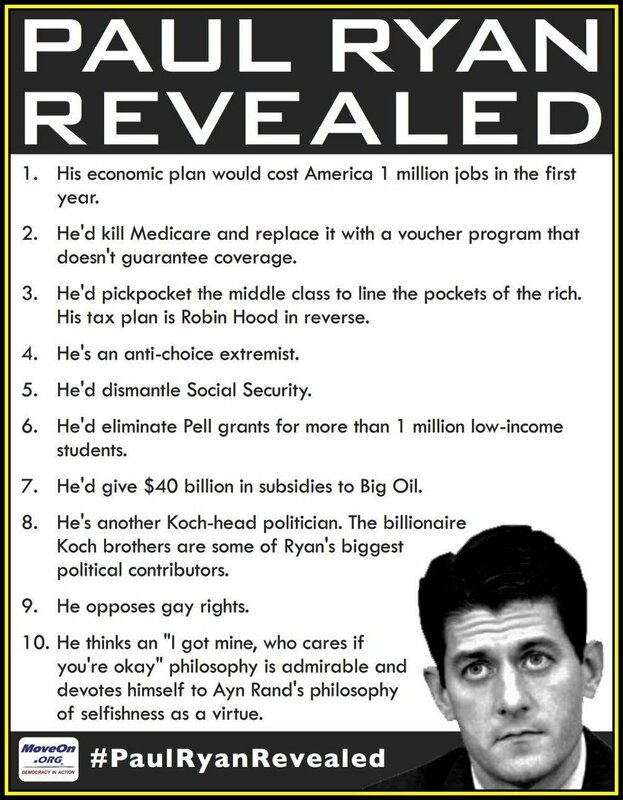 Ryan has two things up his sleeve for Medicare. Raise the Medicare eligibility age from 65 to 67. Introduce vouchers to replace Medicare with insurance company policies. Raising the age will force all of us to pay for two more years of premiums to private, for-profit health insurance companies. At even a quite modest, estimated cost of $1,000 a month each person for 24 months, Ryan’s plan will cost an average couple: 24 months X 2 people X $1,000 – a total of $48,000. Ryan’s voucher plan will mean a check to a private insurance company for a set amount will be sent each year, beginning at age 67. The amount of the voucher will be determined by Congress (see where this is going?) and will increase by the Cost of Living (COL) each year. The very bad news is that health care costs increase by double the COL or more every year, making that voucher worth less and less. Meanwhile, on the other side of the Capitol, the GOP Senate budget requires cuts of $473 billion from Medicare and about $1 trillion from Medicaid over the next decade, according to The Hill. Today the House of Representatives said to retirees, You are not our priority. The wealthiest one percent are the big winners here, at the expense of seniors and working Americans losing their earned health benefits. The Republican plan is clear: offer enormous tax giveaways to corporations and the wealthy, cause the deficit to skyrocket, and then claim we need to cut Medicare and Medicaid. Future federal government retirees also take a big hit under the House budget. It would mean higher employee contributions to the federal defined benefit pension plan and an elimination of supplemental payments to employees who retire before age 62, even though federal law enforcement officers are forced to retire at 57. It would also mean a switch to a defined contribution pension plan for new federal employees. A budget is a statement of values and priorities. And with the 2018 budget resolution released on September 29, Senate Republicans are showing deep contempt for America’s retirees. President Trump pledged that he would not cut Medicare, Medicaid and Social Security. Alliance members intend to remind him that we expect the GOP to keep that promise. The House’s budget resolution will also increase income-related premiums for Medicare and limit medical malpractice litigation by capping attorney fees and awards. Some Medicare recipients already pay double or triple the usual premiums, but these will be increased even more by the GOP. In 2018 the minimum Medicare monthly premium will go from $109 to $134 per person. Recipients and their employers have paid into Medicare for many decades at a combined rate of 2.9%. The proposed cuts to Medicaid will also be detrimental to seniors, including about 11 million Medicare beneficiaries who would lose coverage for long-term services under Medicaid, such as nursing home care. Back at the White House, the President’s Wall Street economic experts are planning their next (2019) budget, the one that will attempt to privatize Social Security and send its $2.7 trillion trust fund to be administered by their friends and former colleagues. It’s time for the person we gave the Rose Garden to keep his promises to us. If you have friends or relatives in or near retirement, you might want to warn them what’s coming by using one of the share buttons below. Since people presently are living longer lives in many cases, why is it a bad idea to raise the eligibility age? If raising it will make Social Security and Medicare more financially sustainable in the long run, what is the problem?